Best friends Sam and Josh are trying to enjoy what's left of their final 'Devil's Night' before graduating from high school. However, trouble arises when the two pals and a group of friends take a detour on their way to a rock concert. They find an old abandoned barn and awaken the evil that lurks inside. Now it's up to Sam and Josh to find a way to protect their friends and defeat the creatures that lurk within The Barn. 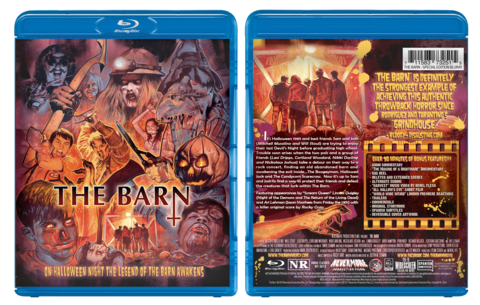 Click here to get THE BARN on Blu-Ray!